Walk & Roll for Mobility 2017 Raises $1200! The fourth annual Walk & Roll for Mobility held in September 2017 was another great success! 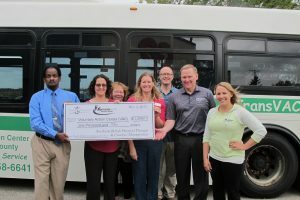 Pictured here (left to right) includes Voluntary Action Center’s Dispatch Manager Alonzo Owens, Community Outreach Coordinator Colleen Bredeson, and Executive Director Ellen Rogers; Lynn Batalden, Physical Therapist and owner of Creative Therapeutics and Mark Mattson, Marketing Director and co-owner of Creative Therapeutics; and Ken Olson, President and Physical Therapist at Northern Rehab, and Melissa Beck, Physical Therapist at Northern Rehab. 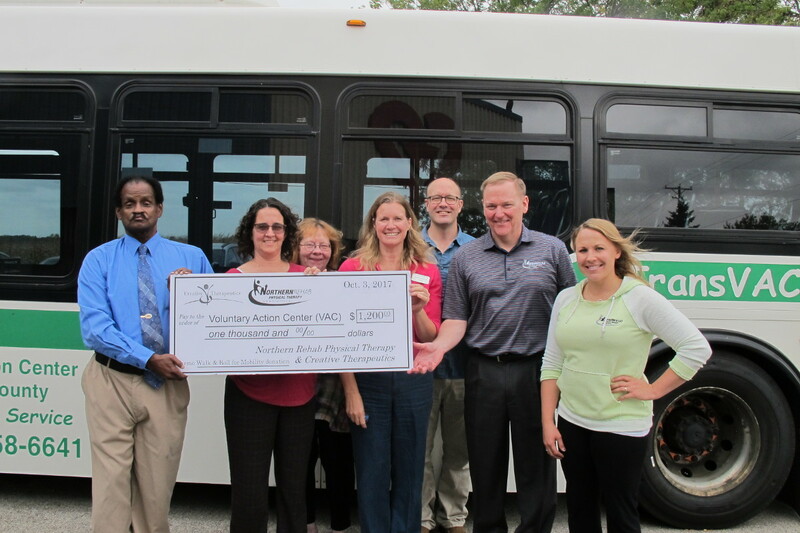 Both Northern Rehab and Creative Therapeutics extend their gratitude to the community members that participated in this event and supported the Voluntary Action Center! Thank you to everyone for your generous support!